Reel #25 of 26 home movies in the original Clarence A. Price Home Movie Collection, this reel begins with Janie Price King and her cousin Janelle walking up the steps to and playing on the lawn of the Daniel Boone Hotel in Boone, NC, probably in Fall 1955. Glimpses of West King Street can be seen in the background throughout the reel. 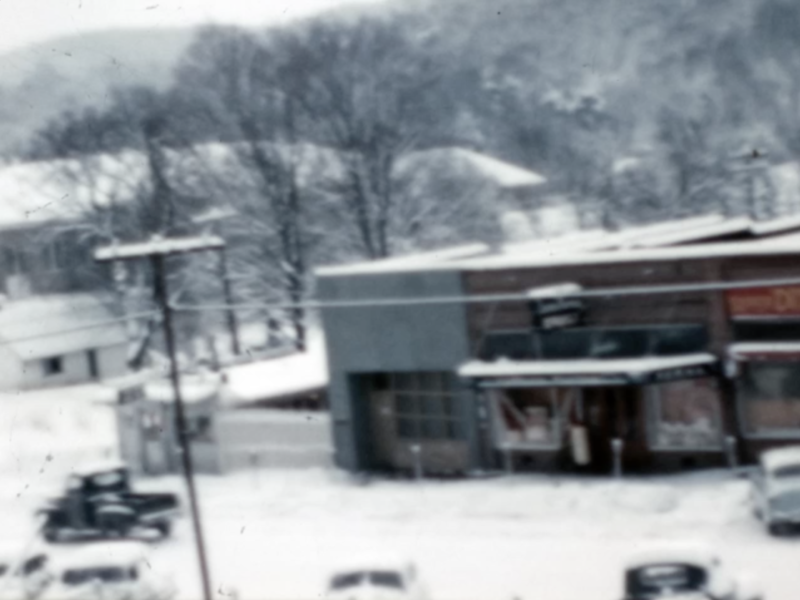 Footage of a snowstorm shot from the Daniel Boone Hotel, perhaps in Winter 1955-56, fills out the rest of the reel. 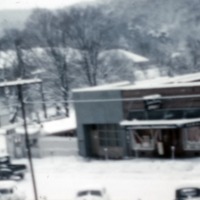 This snow footage includes an outstanding view of the south side of West King Street at present-day Appalachian Street. Clarence A. Price, “Janie and Janelle, Fall and Winter 1955,” Digital Watauga, accessed April 25, 2019, http://digitalwatauga.org/items/show/3206.